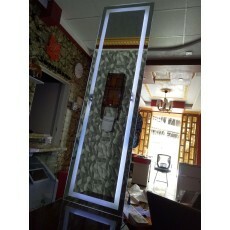 A mirror is an important accessory in the house or office. It is a crucial bedroom feature that you cannot afford to miss especially if love applying makeups. Installing an elegant looking rectangular LED mirror in your house is a fantastic way of creating a focal point in it. LED mirrors are unique as they provide you with both a mirror and a perfect illumination in your house for your daily routine. They are easy to install and also maintain. If you are wondering where you can buy a durable and classy LED mirror, then Petcarl Décor is the place where you can get what you are looking for. Our range of LED mirrors come in different shapes and sizes which means that, you will not be restricted to get what you want. Our comprehensive collection has something for everyone and can suit in different rooms in your house. Try us today and you will never be disappointed.